Download the Report here and the Annexes. The consumption of olives and olive oil is believed to bring health, however, the side products (wastewaters-OOMW and solid wastes-SW) from their production and treatment could be disastrous for the environment if no precautions are taken. 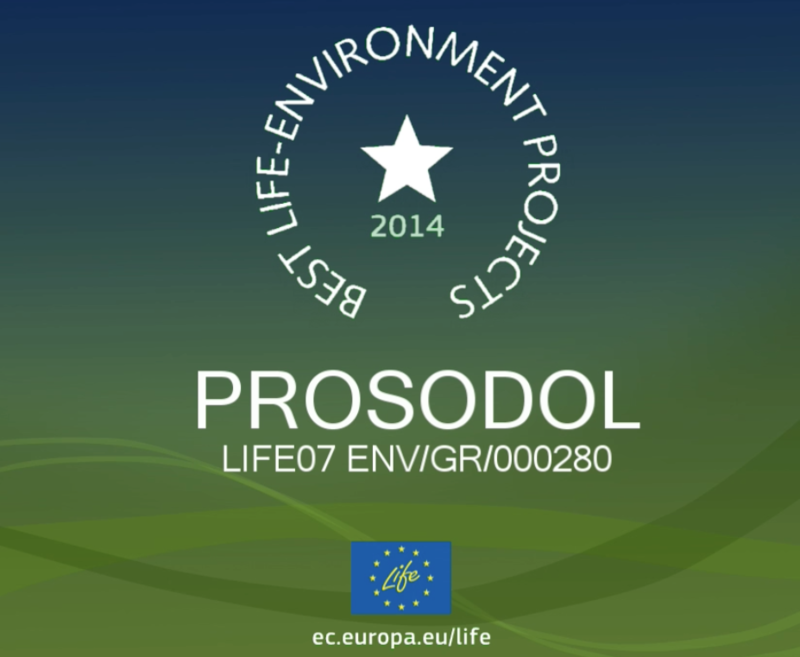 Olive oil is a valuable commodity with a high nourishing value; however its production techniques generate several negative environmental impacts mainly due to the production of waste, the excessive usage of energy and water etc. 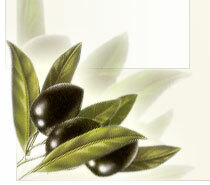 The olive oil extraction industry represents an important activity in the Mediterranean area. Among European countries, but also worldwide, Spain and Italy are the two leaders in olive oil production, whereas Greece holds the third place. In general, for each ton of olive oil production about 1560kg organic pollutants (dry basis) are produced while the polluting load related to the disposal of 1 m3 of OOMW is equivalent to 100-200m3 of urban wastes (corresponding to the ones produced by 100000 people). These pollutants are toxic due to their phenolic compounds content (8.8-9.6% of Volatile Solids or 138-150 kg/ton olive oil). Wastewaters are characterized by high BOD5 and phenolic compounds content as well as by high value of COD/BOD ratio (2.05-2.35). 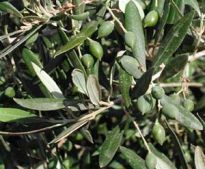 OOMW presents different characteristics, depending on the variety of olive and ripeness, climate and soil conditions and the oil extraction method. OOMW is an aqueous, dark (due to polyphenols content), foul-smelling and turbid liquid, which includes emulsified grease, is easily fermentable and has a high organic content (40-165 g/l). The OOMW pH is low (4.5-6.0), its electrical conductivity high (35000-100000dS/m), and it has high free polyphenol concentrations (3000-24000 mg/l) due to olive pulp esters and glycoside hydrolysis, produced during oil extraction. The main constituents of the organic fraction of the wastewaters are proteins and sugars that are easily biodegradable and, to a lesser degree, organic acids, polyalcohols, fats, polyphenols, and others. The presence of this waste in soil causes phytotoxic and antimicrobial effects, while in rivers decreases the dissolved oxygen content and fish population but increases the organic matter and K, Fe, Zn and Mn contents. The annual olive oil mill wastewater production in Mediterranean countries is estimated to be over 3x107 m3. On the other hand, the SW that are produced contain almost 94% organic matter and although they could be highly beneficial to agricultural soil, it has been shown that they contain also toxic compounds and oil that may increase soil hydrophobicity and decrease water retention and infiltration rate if applied to soil. In the Mediterranean region there are big olive oil industries, which, most of them, produce oil according to the national legislative frameworks, meaning that waste treatment is including in their activities. However, the majority of mills are small domestic enterprises, scattered throughout the countries, their owners are not well informed on the risks and on the alternative solutions and technologies for waste treatment, while in case that they are informed, they are not willing to adopt new technologies mainly due to their cost. Thus, in the most of the cases, wastes are disposed untreated in the environment (in rivers, in the see, in land, in lagoons/ponds). a) Evaporation ponds: they are meant to remove water with the aid of solar energy avoiding anaerobic fermentation (low deep ponds). c) Incineration: Given the high organic load of OOMW, incineration may constitute an appealing method to treat these residues, nevertheless, inherent disadvantages of incinerators (fuel costs, gas emissions, etc.) have to be balanced. d) Other uses: Effluents of olive mills have been utilized as a source of fermentation products, as a source of fat and oils preservatives (i.e. phenolic compounds), etc. 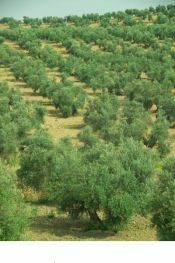 The annual oil mills waste production of Mediterranean olive-growing countries is estimated to ranging from 7 million to over 30 million m3, depending on annual olive production. The average total production amounts approximately to 10 x106-12x106 m3/year and occurs over a brief period of the year (November-March). The most serious environmental problems from the improper disposal of mills’ wastes caused due to physicochemical characteristics of wastewaters as well as, of their polyphenolic content. Spain is the world’s biggest producer of olive oil with around 30% of total production. 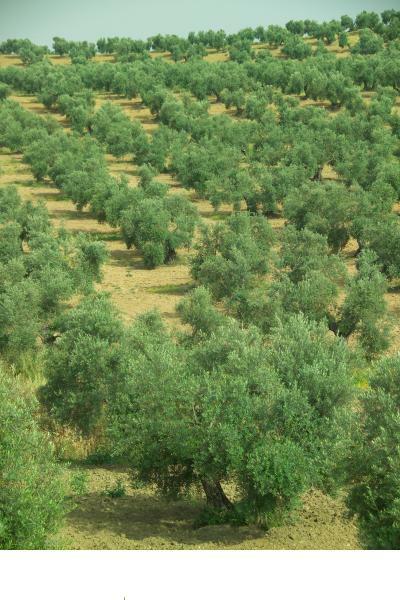 92% of the 2.1 million hectares (5.19 million acres) of olive groves which cover the Spanish countryside are dedicated to oil production, the average annual production typically running between 600,000 and 1,200,000 metric tons, 20% of which is exported. Andalusia region accounts for 60 % of the nation’s area under cultivation, and for 75 % of Spain’s olive oil. Spain produced 20% of the wastes of the Mediterranean basin (2 x106-3x106 m3/year) before the implantation of the two-phase extraction process in most of the Spanish olive oil factories, which represented an equivalent pollution of 10x106-16x106 inhabitants in the short milling period. The yearly production of wastes with the two-phase extraction process from the whole Spanish olive oil industry may approach four million tons. In Spain, the virgin olive oil production sector has improved over the last decades introducing technological advances and increasing its total milling capacity even in the oil mill model. For the last 20 years the trend has been to achieve a majority of the production sector looking for a size economy and a reduction in production costs. In the seventies, there was 6000 oil mills in Spain while nowadays around 1750 are registered with MAPA (Spanish Agriculture, Fisheries and Food Ministry) to apply for subsidies for recent crop years. 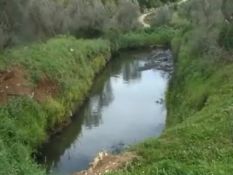 In South Spain, Wastewater from olive mills has been used as a fertilizer with promising results. It has been also used in the irrigation of some kinds of crops. Italy is the second European producer; two-thirds of the production is represented by extra-virgin oil with 37 DOP (Protected Origin Appellation) widespread on all the national territory. In Italy there are about 6180 olive oil mills and the overall amount of processed olives in 2006/2007 was about 3500000 t with a production of about 600000 t of oil. 90% of the entire oil production comes from Southern Italian Regions: Sicily, Calabria and Puglia. The introduction of new mills has increased the productivity and has decreased the need for manpower, heightening the problem related to the disposal of olive mills’ wastes due to an increased production of wastes themselves. In Italy more than 2000 t/year of olive oil wastes are produced and half of them come from Puglia Region. Disposal of wastes is regulating by national laws. The first law concerning olive oil mills’ wastes management was No 319 proclaimed in 1976. Before that, wastes could be poured into the sewer. Oil mills should have been provided by purifiers but this was not possible because of the very high costs of the devices compared to the very small dimensions of farms. So in the second half of 80’s a derogation system was applied which permit the disposal of wastes on soils since it has been accepted that the environmental impact of waste is significantly lower on cropland than in water bodies if certain amounts are distributed up to set thresholds in relation to time and surface. Current thresholds established by law 574/96 set 50 m3/ha/year for OOMW coming from traditional cycle olive mills and 80 m3/ha/year for OOMW coming from continuous cycle olive mills These limits are valid for humid olive husks too. Greece ranks third in the world in terms of olive oil production after Spain and Italy. There are about 108 (one-hundred million) olive trees and 2800 olive oil mills mainly in Crete, Peloponnese, Central Greece, Chalkidiki, the Ionian and Lesbos islands, which operate from late October to late February each year. The average oil production in 2006/2007 was about 250.000t. 90% of olive mills are centrifugal systems and the rest are traditional (pressure squeezing). Although the disposal of mills wastes in the environment is not permitted, it is estimated that up to 1.5 million tones of olive oil mills’ wastes are disposed untreated each year. 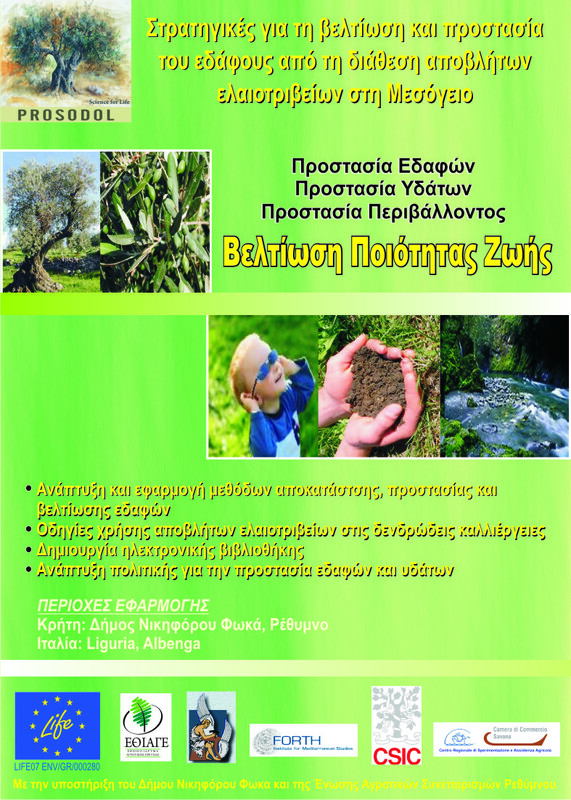 The wastewater, which is produced by the Greek table olive industry, is disposed in the most of the cases untreated in soil or water bodies. The usual treatment and disposal method for wastes in Greece is the evaporation in lagoons/ ponds after wastes neutralization with lime, although there are also many cases of see, river and underground disposal. 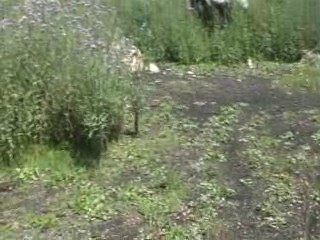 There are, however, cases of implementing innovative waste treatment technologies, but mainly through research projects. Some of the many existed agricultural associations are involved in these projects but their activities and benefits of the adopted practices are not wide disseminated until now. D uring the production period (3-5 months) the ponds are filled whilst the evaporation process is ongoing till the ponds are emptied (8-9 months) and the leftover solid wastes can be removed. In practice the evaporation lagoons/ponds are rarely of the proper size and construction and wastewater often overflows affecting the neighbouring systems (soil, surface and underground water) but also other professional activities of the residents such as agriculture and livestock farming. The base of the lagoons is not impermeable (no geo-membrane or other protective material is used) and thus, since in Greece and other Med countries karsts are seen, the probability for groundwater and deep soil horizons contamination is high. Mills’ owners often pump the excess volume of wastewater to prevent overflowing and use them as fertilizers by transmitting them to neighboring agricultural tree-lands. Wet sludge from lagoons is used as fertilizer, also. 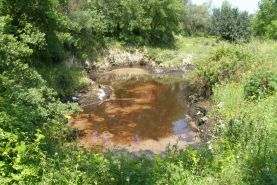 Because owners need to empty the lagoons from the remaining solid waste and because they have no other possibility to treat or compost it, they dispose the sludge untreated to trees. This uncontrolled activity has caused severe damages to trees irrigated by wastewaters or fertilized with sludge and also to soil quality. 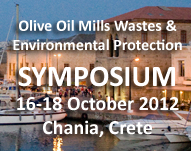 Since there are plenty of olive oil mills in Mediterranean countries, in other words plenty of soil/water pollution sources and considering the specific characteristics and properties of mills’ wastes, there is a need of studying the suspected contaminated sites, registering them as polluted and taking action for their remediation and future protection. This could be feasible only with the development of a strategy/policy at national level, which will include the creation of a national inventory of contaminated sites and actions to be taken against soil/water pollution. From this point of view, the successful completion of the project will provide significant benefits to involved countries as well as to other oil productive European and Mediterranean countries. 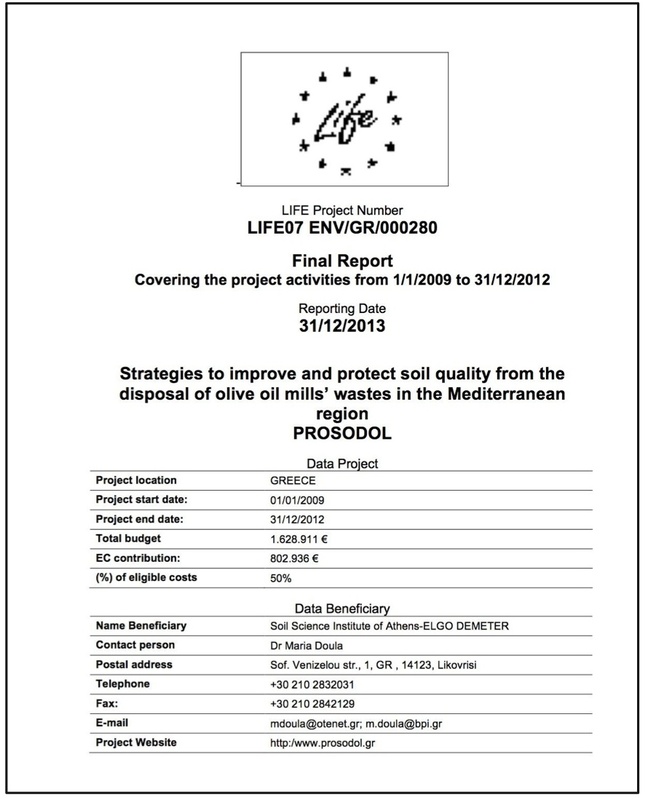 In specific, the project will help in facilitating the Soil Thematic Strategy implementation by providing authorities the scientific, technological and methodological know-how to identify and study the suspected contaminated sites and register them as contaminated, if it is so, and by suggesting and implementing integrated technologies for the improvement/remediation of polluted soils, which will be practical tools for authorities for medium- and long-term actions regarding their soil conservation/restoring policy. Moreover, the project will promote best practices, improvement of knowledge and its dissemination and exchange of information.